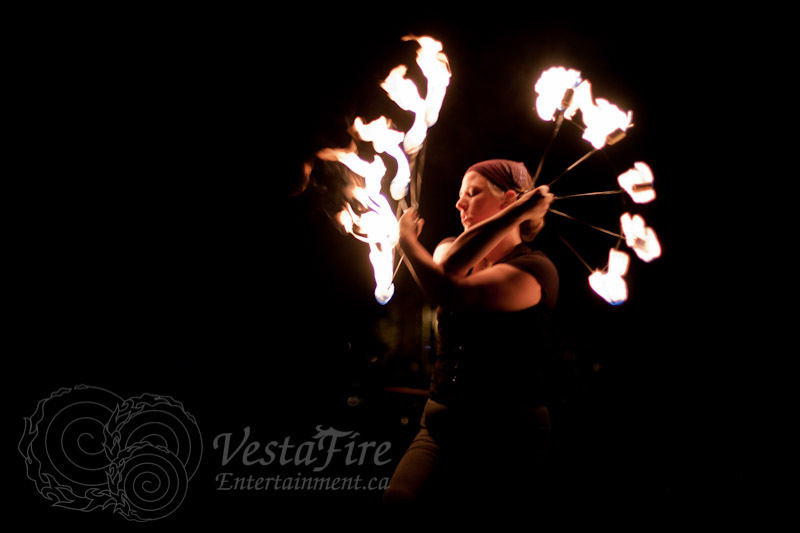 The Curse of the Captain’s Treasure is a dynamic, comedic, pirate themed fire extravaganza. The Captain, First Mate, Pirate, and Wench use breathtaking displays of fire spinning technique to reveal a story that is about more than searching for treasure – it is about overcoming differences through the power of love. The Curse of the Captain’s Treasure entices all ages of audience who will cheer along with the delightful characters on their journey. Starting from the big opening number, the show progresses through solo performances, where the audience will get to know each character. They set the stage for beautiful and exciting choreographed duets culminating in a spectacular finale- with one fireball of an ending! Cost: $2000 to $6000+ for flame effects, pyrotechnics and propane cannon.